Abstract - Due to the multi-hop nature combined with the relative stable and static topology, Wireless Mesh Networks are considered as the future candidate to provide the broadband wireless access in the user’s premises. Unlike the Mobile Ad-hoc Networks, Wireless Mesh Networks are under the authority of a central administration having built in infrastructure. Previous studies have established that the placement of Gateway routers inside the Wireless Mesh Networks’ topology have a great impact on the network overall performance. This paper investigates the response of different routing protocols to the Gateway placement in the Wireless Mesh Networks in terms of routing overhead, network latency and Packet Delivery Ratio. Two different scenarios have been extensively simulated with different number of network flows and the performance of these routing protocols has been analyzed. The simulation results show that overall the proactive routing protocol outperforms the reactive one, while the Gateways placed at the center of the network topology enhances the network performance. Abstract - The complexity of attacks on computer systems are increasing rapidly. The current network is complicated due to the high throughput and the multi- uniformity of actions. Intrusion detection is a process of monitoring the various computer networks and systems for violations of security and this can be automatically done with the help of an intrusion detection system. An Intrusion Detection System (IDS) is a critical component for secure information management. IDS plays a major role in detecting and disrupting various attacks before cooperating with the software. This paper presents the investigations carried out on different neural network structures using a number of algorithms for intrusion detection. Also this paper proposed an Echo State Network (ESN) structures for intrusion detection. The proposed algorithm has faster convergence and better performance in IDS. The objective of this paper is to implement the ESN algorithm and compare with other neural network algorithms in a networked environment. The performances of different methods have been implemented and compared using the Knowledge Discovery and Data mining (KDD) dataset to experiment the performance of ESN in classifying the Local Area Network (LAN) intrusion packets. Abstract - It is well-known that edges contain semantically important image information. In this paper, color image coding based on edge-detection is introduced. Modification of the JPEG technique to improve the color image compression is proposed. The process is based on the modification of the quantized value of the DCT coefficients. The efficiency of the proposed scheme is demonstrated by results, especially, when faced to the method presented in the recently published papers. Abstract - Communication network is facilitated with different protocol .Each protocol supported to increase the network performance in a secured manner. In communication process, user’s connectivity, violations of policy on access of information are handles through intrusion. Intrusion prevention is the process of performing intrusion detection and attempting to stop detected possible incidents. It focused on identifying possible incidents, logging information about them, attempting to stop them, and reporting them to security administrators. However, organizations use Intrusion detection and prevention system (IDPS) for other purposes, such as identifying problems with security policies, documenting existing threats, and determining individuals from violating security policies. Communication architecture is built up on IP. The Internet Control Message Protocol (ICMP) protocol is tightly integrated with IP. ICMP messages, delivered in IP packets, are used for out-of-band messages related to network operation or mis-operation. In this paper describes about HDLC, ICMP protocol sequences which is used to detect the intrusion on hybrid network and its attributes are recommend the standardized protocol for the intrusion detection process. This standardization protocol compare the previous part of the research of HDLC and ICMP protocols. Abstract - The Cloud computing emerges as a new computing paradigm which aims to provide reliable, customized and QoS guaranteed dynamic computing environments for end-users. Virtual machines (VMs) provide a virtualization solution to the security and resource management issues that arise in isolated environment. We encounter the need to deploy an open source cloud computing and integrate VM (a virtual business server) with business applications into cloud models and the existing resource management infrastructure. To address such requirements, the paper describes an approach to deploying business virtual appliances on Open-source Scientific Cloud computing based on the Globus Virtual Workspace Service (Nimbus project) as an Infrastructure as a Service. Abstract - In this paper a protocol is elucidated, it is based on multilevel steganography and dynamic cryptography in the secure information transmission, because the growing possibilities of modern communications require the special means of confidential and intellectual property protection against unauthorized access and use. Especially these problems are actually for computer networks, which make possible to exchange the large amount of digital information (text, audio, video, and image). The use of multilevel steganography provides more strength compare to simple steganography technique and similarly dynamic cryptography also gives more strength compare to simple cryptography. Abstract - Authentication forms an important part of security mechanism by securing the networks from unauthorized access. The time taken by the client to authenticate to the Extensible Authentication Protocol (EAP)-enabled Wireless Local Area Networks (WLANs) will have a significant impact on the real time applications particularly under mobile conditions. Also, the number of messages involved in the authentication will have a significant impact on the energy consumption as the mobile terminal is having limited energy source (battery). In this paper the quantitative analysis of Extensible Authentication Protocols is provided and the security features of these protocols are compared. The protocols compared are EAP-MD5, EAP-TLS, and PEAP. A simple authentication protocol, EAP-Simple Authentication Mechanism (SAM) is proposed in this paper, consisting of reduced number of authentication messages. The reduced number of authentication messages yields the least authentication delay as well as the reduced energy consumption resulting in uninterrupted services for the real time applications. Abstract - In this paper, we propose a novel scheme for image compression by the curvelet transform. Curve functions are effective in representing functions that have discontinuities along straight lines. Normal wavelet transforms fail to represent such functions effectively. Modification of the traditional JPEG method based on region-of-interest coding is achieved and used curvelet transform. The modification will be done after the quantization step. In the beginning, the image is subdivided into a block of pixels; the block must be classified as foreground block or background block based on a pre-processing step. Then, keep a certain number of NxN blocks in the top left hand corner for each block and put the rest of our Discrete Cosine Transform (DCT) coefficients with 0. Experimental results show that the compression performance of our method gains much improvement. Moreover, the algorithm works well for declining block effect at higher compression ratios. Abstract - The Hong’s modified histogram shifting method is best method of reversible watermarking. But Hong’s modified histogram method is not suitable for cartoon images. Our improved backward histogram shifting method overcome drawback of Hong’s method. Generally PSNR decreases when embedding capacity increases. But our improved backward histogram shifting method gives more embedding capacity and high PSNR. Hong’s method becomes unable to locate minimum point after 255 as generally histogram of cartoon images concentrates at 255 pixel value, which is called as maximum point. Our backward method finds minimum point before maximum point. Our improved backward histogram shifting method shifts required pixel values to left by ‘1’ numbers which is called minimum point. The embedding capacity for cartoon images is maximum because maximum numbers of pixels are available at 255, than any other images. The complexity of our improved histogram shifting backward method is same as that of Hong’s modified histogram shifting method as both scans image twice only. Abstract - Network reconfiguration situation may occur frequently in interconnection networks while add or remove the components under repair. This situation may block packet forward in the path and it leads to deadlocks. Our aim is to provide the block-free, deadlock-free path and maintain the performance in high level. Many techniques are implemented so far for the above situation still we unable to achieve the maximum efficiency. In this paper we propose the most efficient algorithms SRS(Sovereign Reconfiguration System) to make deadlock freedom and establish the right path to packet forwarding process in active manner under this reconfiguration situation. Abstract - Although, many institutions have implemented technical solutions to protect information resources from adverse events, internal security breaches continue to occur. An approach that emphasizes on information security policy within the institutions is therefore required to make security part of employees’ daily work routines. In order to develop a successful information security culture within an organization, it is worth understanding both technical and non-technical aspects of information security. The purpose of this paper is to outline the strategies and management processes behind implementing a successful Security Policy. Additionally, the paper gives recommendations for the creation of a Security Awareness Program, whose main objective is to provide staff members with a better, if not much improved understanding of the issues stated in a security policy. Abstract - The evolution of Wireless Sensor networks (WSNs) is a demandable, efficient and emerging area of Computer Science Engineering which has been currently employed in various field of engineering particularly in communication system to make it effective and reliable. For successful application of WSN it is important to maintain the basic security level, both from external and internal attacks else entire network may collapse. In the field of WSNs, if the sensed patterns that significantly deviate from the normal pattern are considered as outlier. The possible source of outlier includes noise, errors, events and malicious attack on the network. WSNs are more likely to generate outlier due to their special characteristics like constrained available with the resources causing frequent physical failure and harsh deployment area. In this paper we have investigated and experimented different outlier attack in WSN and how these attacks are efficiently detected and rectified. The usual outlier detection techniques are not directly applicable to wireless sensor network due to the nature of sensed data, specific requirements and limitations of the WSNs. Our proposed method will train and test data set for detection as well as rectification of outlier due the malicious attack and identify the affected sensor nodes in a largely deployed cluster based wireless sensor network under a common outlier detection framework which is designed by some well specified supervised learning and classification based data mining technique. Abstract - Wireless ad hoc networks must be capable self-organizing and self-configuring to handle the dynamic nature of the network. Routing protocols should be able to handle the dynamic nature, and the limited resources of the nodes while maintaining Quality of service. Routing protocols try to find the shortest path to the destination. Depending on how and when the routes are discovered, the protocols are classified as proactive and reactive routing protocols. This paper investigates the performance of a reactive routing protocol, Ad hoc On Demand Distance Vector (AODV) and a proactive routing protocol Optimized Link State Routing (OLSR) under different speed with nodes converging and diverging. Abstract - A Wireless sensor network (WSN) consists of many low-cost, low-power, and multifunctional wireless sensor nodes, with sensing, wireless communications and computation capabilities. These nodes communicate over short distance via a wireless medium and create common tasks. Traditional routing protocols have several shortcomings when applied to WSNs mainly due to issues involving network energy constraints. Geographic routing is a type of stateless routing, where it is not necessary for a node to perform maintenance functions for topological information beyond the one-hop neighborhood. So geographic routing is highly feasible for large-scale networks than topological routing that need network-wide control message dissemination. In this paper it is proposed to investigate performance of wireless sensor network having 3 degrees of hops with different transmission powers. The goal is to balance power within WSN to save energy on the nodes. This is very important in WSN as they typically use battery which may not be possible to replace in many cases. Abstract - Image processing is widely used in many applications like medical imaging, industrial manufacturing, entertainment and security system. The size of image is very large. Biometrics which use of human physiological characteristics for identifying an individual, now a widespread method of identification and authentication, uses several image processing techniques. Biometric computing offers an effective approach to identify personal identity by using individual’s unique, reliable and stable behavioural characteristics. Biometric identification is a technology which describes the general procedure for identification and verification using feature extraction, storage and matching from the digitized image of biometric characters such as Finger Print, Face, Iris or Palm Print. In this paper we present a comparative study and analysis of some palm print feature extraction and identification methods. Abstract - In this paper we establish a different implementation level clustering technique which provides a new dimension for classification of datasets. The training set and the testing set of data are classified according to the separate kind of algorithms discussed here. The analysis of the performance will show a clear edge over the other existing technique used for data classification. The future research issues which need to be resolved and investigated further are given with new trends and ideas. Abstract - In this paper, attempt has been made to develop a Speech Recognition and Synthesis Tool (SRST) as assistive technology to provide a solution for communication between two physically disabled persons; blind and deaf. An off-line chat room has made where two physically challenged persons can communicate to each other in US English accent via USB Serial Adaptor. SRST is designed in Microsoft.NET 3.5 framework using C# Programming in Microsoft Visual Studio 2008 Environment. Microsoft Windows Speech Application Programming Interface (SAPI) 5.3 and, system speech recognition and system speech synthesis namespaces are used for speech to text conversion and vice-versa. The blind and deaf students trained on the tool and window speech recognition system inbuilt in windows vista. Then this communication tool is implemented in real setting for the physically challenged persons. It has been observed that they communicated to each other effectively only in noise free environment and blind students taken more time than deaf students to familiar with tool commands and speech recognition commands. Abstract - Voice over Internet Protocol is a rapid growing technology which enables the transport of voice data over Internet Protocol based networks. Voice over Internet Protocol has become a possible alternative to Public Switched Telephone Network due to its capabilities to transport voice data in the form of digital Internet Protocol packets over the TCP/IP based Internet. In parallel, a remarkable increase is happening in the deployment of IEEE 802.16 standard based WiMAX networks. 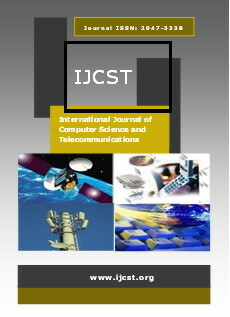 This research paper investigates the performance of VoIP traffic over WiMAX networks. The impact of various voice codec schemes and statistical distribution for VoIP over WiMAX has been investigated in detail. Through various simulation experiments under realistic networking scenarios, this study provides an insight into the VoIP performance in the WIMAX networks. Parameters that indicate the Quality of Service such as delay, jitter, packet loss and MOS are analyzed in these scenarios. The simulations results indicate that better choice of voice codecs and statistical distribution have significant impact on VoIP performance in the WiMAX networks. Abstract - In this paper, we present a methodology for one to one (1:1) mapping of parallel English-Hindi parallel sentences. This methodology is based on the development of parallel English-Hindi word dictionary after syntactically and semantically analysis of the English-Hindi source text. We are using this methodology for the English and Hindi sentences, but the methodology can also be used for other languages. As big parallel corpus of English-Hindi pair language is not usually available, we design and develop two strategies to overcome this problem: normalization of tagged English sentences and Hindi sentences, on the one hand; mapping English-Hindi sentence using parallel English-Hindi word dictionary, on the other. Fortunately, this task, word alignment is well known, and some aligning algorithms are freely available. Abstract - In this research, we show how the promising Independent Component Analysis (ICA) technique extracts features that are more closely related to our intuition of discriminate information, and that improve the success rate compared to an equivalent system using PCA. The aim of the research is to implement ICA based face authentication system by extracting the invariant features of a face.